I’m a little bit obsessed with chickpeas at the minute. They are quick to cook and so tasty so I’ve been experimenting with them in salad, stews and the like. Last night, after forgetting to defrost any meat, I thought I would try chickpeas in a stew with chorizo and this recipe was the result. 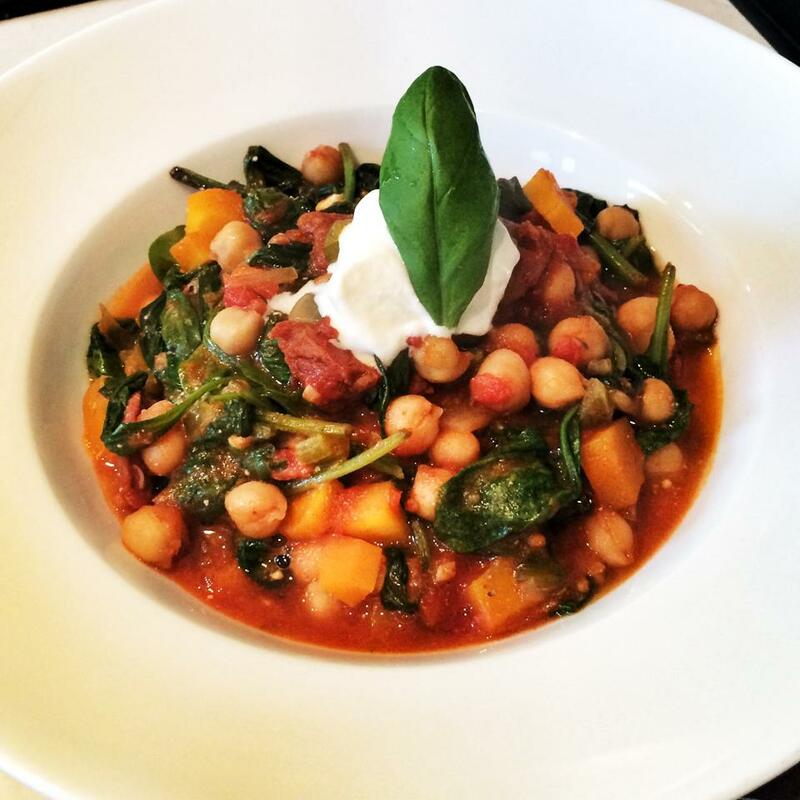 It was so quick to make, absolutely delicious and a perfect ‘summery’ stew. I had it on its own but the OH had it with a little bit of quick cook fusilli. If you wanted to make it more substantial again, you could slice some new potatoes, par boil and then pop them into the stew just after you add the tomatoes or even just have some nice crusty bread (don’t forget to add the extra sp’s!). Pop your onions in a large frying pan, spray with low cal cooking spray and fry for 5 minutes until onions start to soften. Next add your carrot, celery and pepper and cook for another few minutes. Add a splash of water to stop everything sticking and season with salt and pepper. Next add the garlic, thyme, bay leaves and chorizo and fry for another minute or two. Next add the smoked paprika, cinnamon and crushed chillies, stir in and then add the red wine vinegar. Leave to simmer for a minute and then add the chopped tomatoes and crumble in the stock cube with a tin (using the tomato tin) of boiling water. Leave to simmer for 10 minutes to let all the flavours infuse and the sauce reduce a little (if you are having potatoes, pasta etc with your stew, pop them on at this point). After ten minutes, remove the bay leaves, add your chickpeas and warm through for a few minutes. Then add your bag of spinach, a squeeze of lemon and stir, letting the spinach wilt a little. Serve in a nice big bowl, topped with a tsp of sour cream, a slice of lemon and a little basil leave for decoration. Just made this tonight- delicious! I used Total 0% yoghurt instead of sour cream as that was what was in the fridge. Some left over for tomorrow-yum! Congratulations on your weight loss. You look fabulous! 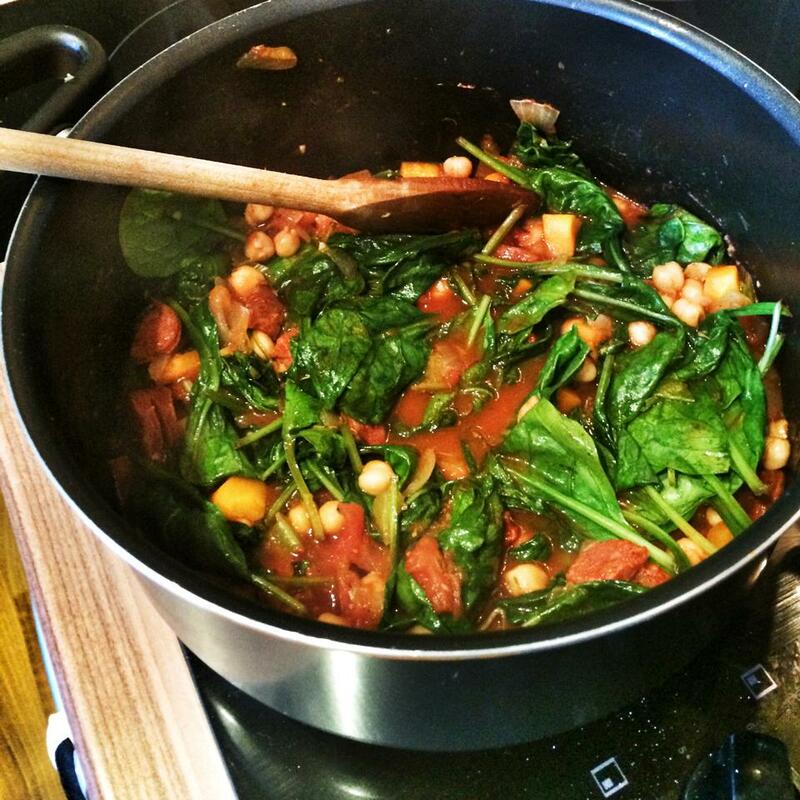 Hi Laura just had to let you know I have just come across your blog and made the chickpea and chorizo stew. It was delicious. This will definitely be something I cook regularly. It was so quick and easy. I made it for all the family and they all loved it too. Can’t wait to try some of your other recipies. Well done on your weight loss you look amazing.